Charles Bridge is the second oldest bridge in the Czech Republic and the oldest bridge over the Vltava River. It has joined Prague's Old Town and Malá Strana (Lesser Quarter) since its completion in 1402. 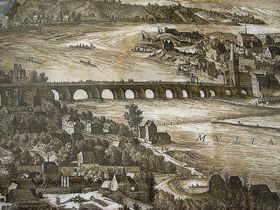 But Charles Bridge was not the first stone structure to span the river there; it replaced the Judith Bridge, which stood in roughly the same spot and was destroyed by floods in 1342. The foundation stone was laid with the assistance of Charles IV himself at 5:31 am on July 9 1357 (apparently so these odd numbers would have a palindromic sequence of ascending and descending digits). 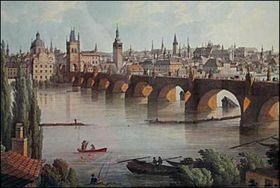 The structure was originally known as Stone or Prague Bridge, and received its present appellation around 1870, a change instigated by the poet Karel Havlíček Borovský. Charles Bridge is 9.4 to 9.5 metres wide; it has a span of 515 metres and is supported by 16 arches. It has served transport, trade and cultural functions, but was also the scene of jousting contests, the Hussite Wars and revolutionary battles. Executions even took place there. Today Charles Bridge and Prague Castle are the two most visited sites in Prague. King Vladislav II had Prague's first stone bridge built in the years 1160 to 1172. His wife had urged him to build the bridge and it was given her name, Judith. It was around 514 metres long, seven metres wide at its broadest and had 27 low arches. In 1253 administration of the bridge was taken over by the Knights of the Cross. Two thirds of the structure was destroyed by a flood in February 1342, necessitating the building of a replacement - Charles Bridge. 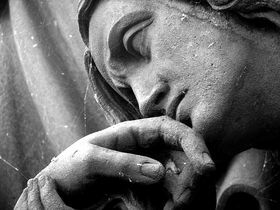 There are 30, predominantly Baroque, statues and groups of statues on Charles Bridge. Most of them were created at the turn of the 17th and 18th centuries. Today the statues are gradually being replaced by copies for reasons of preservation. The Charles Bridge Museum was opened in June 2007. 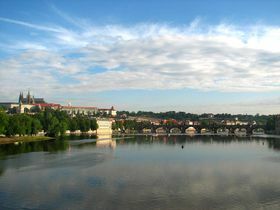 It is located at Křížovnické náměstí, at the foot of the bridge itself. 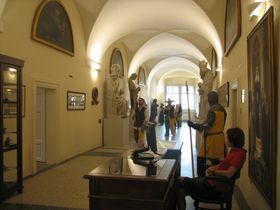 The Knights of the Cross, who have a long history of association with Charles Bridge, provided a former monastery hospital as a venue for the museum. In conjunction with the 650th anniversary, it features a permanent exhibition which presents the historical and cultural context of the foundation, development and present of this unique structure.